Finding periodical or hidden faults takes a high degree of tolerance on the part of both clients and mechanics. For full customer satisfaction mechanics should magically appear at the spot right when the fault occurs, remove the faulty component without hesitation and replace it with a new one, preferably without charge. This is, of course, highly unrealistic. Periodical faults that occur every once in a while are difficult to pinpoint and you may need to demonstrate them more than once to make a reliable diagnosis possible. Also, as the time of your workshop appointment draws nearer, the less frequent the occurrence tends to become. So, the first thing you need to do is get rid of Mr Murphy and his silly laws. Will the trouble code recorder be able to tell me what’s wrong? 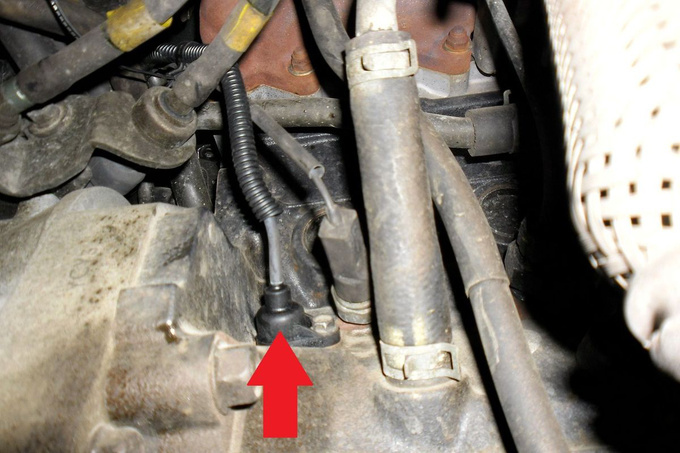 The owner of this particular car – a MY 2003 Hyundai Accent 1.5 CRDI – complained of on-and-off stalling of the engine. That is a highly serious fault, exposing passengers and other motorists to grave dangers – just imagine what happens if the engine stalls during an overtaking manoeuvre. Checking the trouble code recorder gave me some clues but I have learnt to take that kind of information with a pinch of salt. But before we continue our investigation, it's best to clarify the basics. This particular engine is a three-cylinder turbodiesel unit with common rail fuel injection system. In order to start the engine, the ECU (engine control unit) needs to know the exact position of each piston. 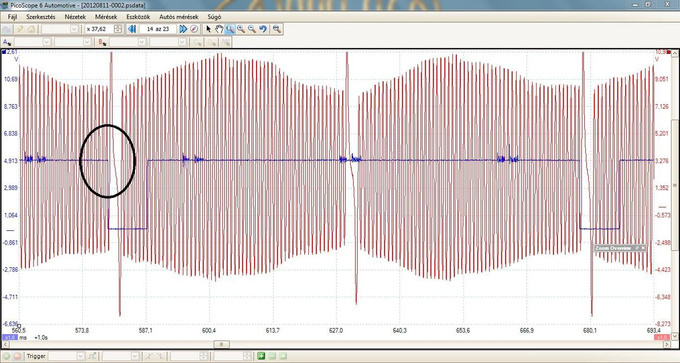 That is where reference signals sent by the rotational sensors come into play. 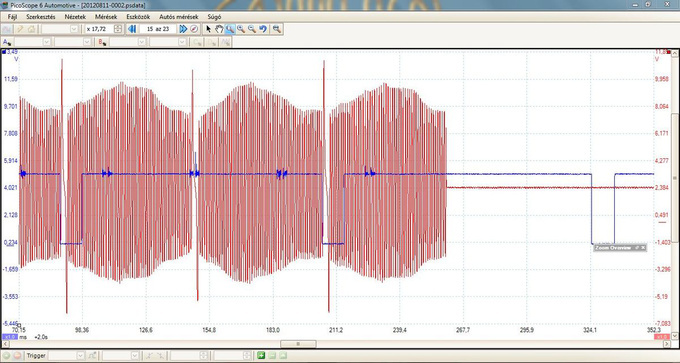 The above oscillogram displays the signals sent by the crankshaft in red, while the blue diagram designates the position of the camshaft. The two rotational transmitters relay distinctive signals sampled at the same time. The crossing of the two signals means the piston of cylinder #1 is nearing its top dead centre on the compression cycle. This phase sync signal lets the ECU know which injector to operate when, and what advance timing to use. If any of these signals is lacking, the injection process, and thus the engine, will stop. 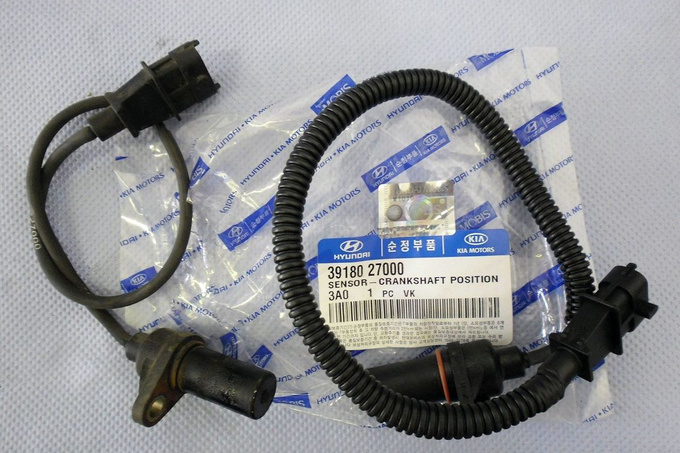 While this is conditional on the eventual emergency functionality of certain engine control units, it holds true for this particular Hyundai. A P0340 trouble code can refer to a number of actual faults. Either the crankshaft transmitter, or the camshaft transmitter is broken, possibly due to a failed power supply or earth connection. More extreme examples include failed timing but because this was an intermittent, rather than regular, fault, this possibility could be excluded. As expected, my test drive did not reproduce the error so I took the gamble and replaced the camshaft positional sensor after I was authorised to do so. Having done that the car seemed to be fully cured – but my joy didn't last long. The fault was reproduced within a few kilometres but as soon as I brought out my oscilloscope and attached the cables the engine was running happily again. At this point me and my client agreed that I would keep driving the car until I could diagnose the fault. I drove almost 500 km without a single hiccup. The fault wouldn't show until over 800 kms. I could never imagine I would once be praying for a car to fail. And fail it did – needless to say, the engine stalled in the fast lane of a three-lane expressway. What a refreshing change in driving culture – there were only a handful of drivers furiously honking their horns at the madman pushing a car on the road in peak hour traffic. What's more, a carload of workers actually stopped and helped me get the car off the road – thank you guys! But what is more important I was able to pinpoint the exact cause of the fault. 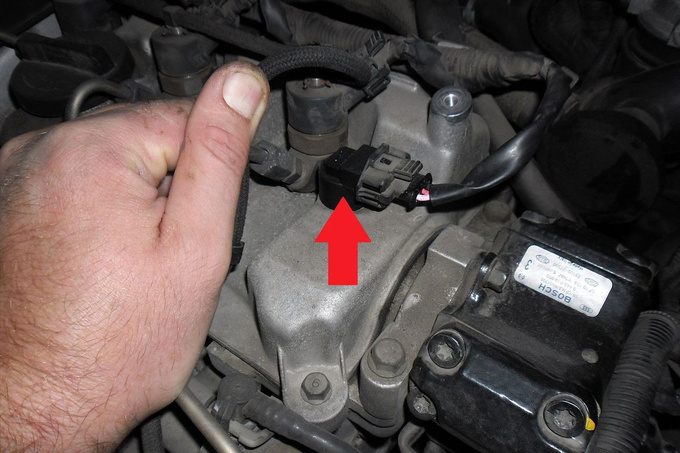 It was clear to see it was the crankshaft positional sensor that stopped transmitting a signal, while it was still receiving the reference voltage. After I replaced the faulty component the car was fixed for good. Obviously, I should have just replaced both transmitters. But revealing this fault usually takes two people – one to drive the car, and one to hook up and monitor the diagnostic equipment. 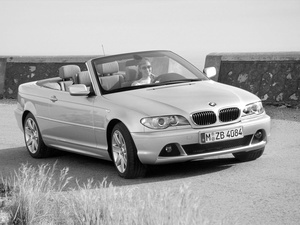 It may be necessary to take several test drives: just imagine how much it would cost in working hours, for two people. No client would be willing to pay that kind of money, so these costs are almost never invoiced. While fixing these kinds of faults incurs a massive loss for the garage, it is usually undertaken for one of two reasons: first, it is a manner of honour and a professional challenge for any self-respecting car mechanic to be able to fix the car. Second, these fix-ups help garages capture or keep clients. If you are a regular customer your workshop is more likely to be professional in fixing, and lenient in invoicing such challenging jobs.